The Tenergy Renair air purifier doesn’t share many aesthetic similarities with traditional air purifiers, but it’s hardly a complaint. The Tenergy purifier has a matte white body with sleek rounded edges and a silver top. The top houses all of the controls, making it easy to adjust and change the Tenergy as needed. There is a glowing LED that enables all of these buttons to be illuminated so they’re easy to see, even in the dark. The bottom of this air purifier houses the air vents which allows the purifier completely treat its surroundings. For an air purifier that can tackle rooms up to 210 sq. ft., it is relatively small. This air purifier is lightweight and easy to move around as needed or to be taken into a different room. The smaller size allows it to sit comfortably on a tabletop, counter, or in a corner of your room. The Tenergy Renair air purifier doesn’t come with any fancy accessories or add-ons. This purifier comes with a built-in night mode, LED color options, and 4-stage filtration. The Tenergy Renair has a number of nice features that help it to stand out against other air purifiers. 4-Stage Filtration: The Tenergy Renair air purifier uses a filter with 4-stages that helps to treat particles of all sizes from the air. There is a preliminary pre-filter for larger debris like pet hair, a True HEPA filter, an activated charcoal filter for odors, and an anti-microbial filter to the most finite germs. Night Mode: When in Night Mode, the Renair purifier will operate as low as 28 db. Color Settings: The Tenergy Renair has two options; option 1 is to glow blue non-stop or option 2 is to rotate between 7 different colors for a changing aesthetic. Negative Ion Generator: The Renair air purifier produces negative ions that bond to particles in the air when they meet. Once bonded, the negative helps to clear away airborne particles and drop the to the ground to be vacuumed up later. 3 Fan Speeds: There are three fan speeds available with the Tenergy Renair purifier, allowing you to quickly clean a larger area or simply maintain clean air at a lower speed. RELATED – Do air purifiers remove bad smells and odors? Overall, the Tenergy Renair air purifier performed well. It was able to improve air quality by 50%, reducing PM2.5 particles from 3.6 down to 1.8 (within 1 hour). In order to test the Tenergy Renair air purifier, we placed the unit inside a closed bedroom (12′ x 12′). We took these measurements using the Temtop LKC-1000S+ professional air quality detector. With this device we have the ability to get detailed measurements before and after using the Tenergy air purifier. 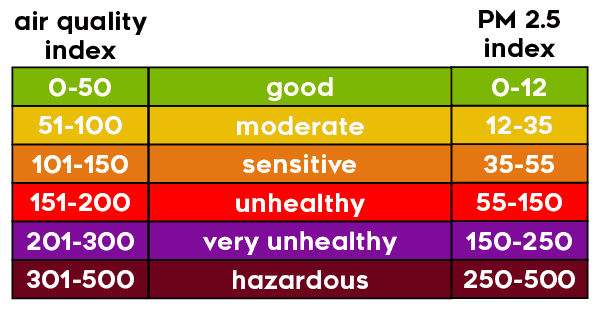 After running the Tenergy air purifier for 1 hour we saw a marked improvement in air quality. The setup and usability of the Tenergy Renair air purifier is simple. How to setup the Tenergy air purifier? It is a corded purifier so you just unbox it, remove the plastic bag from the filter, plug it in, and turn it on. How to use the Tenergy air purifier? There is no setting on this unit for it to detect air quality so you’ll need to use the Renair as you see fit. You can use the touch controls to easily turn the purifier to a higher or lower fan speed. If real time air quality monitoring is important please see our Rabbit Air MinusA2 review or Rabbit Air BioGS 2.0 review. For most homes, simply running on medium fan speed 24/7 is the best way to ensure air is always being cleaned and well circulated. The Tenergy air purifier has minimal maintenance, mainly because the 4-stage filter is compressed into one compact filter. This filter needs to be replaced every 6 months for the best performance, but luckily it’s not too expensive. You can usually find the filter for around $22 / each. With the cost of replacing this part twice a year, you can expect an annual cost of around $44 / annually. How loud is the Tenergy? Based on our in-home tests, at maximum airflow the Tenergy Renair air purifier is around 50 decibels of noise at high speed. At low speed, the decibel count was closer to 39 dB of noise. Ambient noise in the room without the Tenergy running at all came in at 39 dB. Is the Tenergy air purifier a good value? In general, I think the Tenergy Renair air purifier is a good value. The Renair was able to remove particles from the air and improve air quality. It’s not quite as powerful as other more expensive air purifiers we’ve tested. However, given the price point, I think it still does a reasonable job. If you have a small or medium sized bedroom it can be a great fit. Additionally, the nightlight and quiet operation are other notable features that help improve the value. Area Coverage 210 sq ft.
Who Should Buy the Tenergy Air Purifier? The Tenergy Renair is a mid-size purifier that had good performance in a medium sized room, a simple user interface, and also doubles as an air ionizer for optimal performance. Doubles as a negative ion generator: The Renair produces up to 6 million negative ions per second that then are distributed into the air to join with airborne particles, and pull them to the ground. Once on the ground, these particles can be vacuumed up and are no longer airborne. Ultra-quiet purifier: If you’re concerned about the noise output, the Tenergy Renair outputs around 28 db when on Night Mode. This is extremely quiet for a powerful machine. By comparison, the sound of breathing would be rated at about 10 decibels, a whisper is around 20 dB. Color-changing LED: The Renair has color-changing LEDs which provide a nice contracting aesthetic to the all white matte and silver body. When in Night Mode, this purifier will glow with a soft blue light and when in standard mode, it will rotate from 7 pre-selected colors. For more information or to buy the Tenergy Renair air purifier, click here. The Tenergy Renair is a budget air purifier designed for small to medium sized rooms. In our tests, it was able to improve air quality markedly within 1 hour. Controls are simple and intuitive. While the performance is not ground breaking, it’s pretty good considering the price.